Type II diabetes is a serious, sometimes life-threatening disease that affects millions of Americans. In 2012, more than 29 million Americans had either Type I or Type II diabetes and an estimated 1.4 million Americans are diagnosed with diabetes each year, according to the American Diabetes Association. Type II diabetes is the most common form of the disease, and is controlled using a combination of diet, exercise and prescription medications. A new class of diabetes drugs called thiazolidinediones came onto the market in 1999 following U.S. Food and Drug Administration (FDA) approval and were used to regulate glucose levels in Type II diabetes patients. The drugs worked by making the body create new fat cells; those fat cells were more sensitive to insulin and, therefore, allowed insulin to do its job of turning glucose into energy. Pioglitazone, marketed under the brand name Actos by Takeda Pharmaceuticals USA, was one of two thiazolidinediones approved in 1999. Early clinical trials showed improved glucose levels in patients taking the drug, but it wasn’t long after the drug came onto the market that serious side effects were reported. People with Type II diabetes are at an increased risk for other medical conditions, including congestive heart failure. That risk may have been increased in patients taking Actos. Just two years after the drug was approved, Takeda was required to update the Actos label to include the potential for increased risk of cardiac failure. The label change came shortly after Health Canada issued an advisory about the risk of heart failure in patients taking Actos. Studies published subsequently in various medical journals also showed an increased risk for cardiac failure in patients taking Actos and other thiazolidinediones. 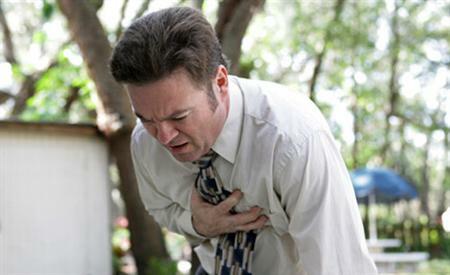 Congestive heart failure is a serious condition in which the heart cannot pump enough blood to meet the body’s needs. It can be fatal in some cases. In 2007, the FDA issued a black box warning on the Actos label – the strongest safety warning issued by the FDA short of a recall – indicating the risk of congestive heart failure while taking the drug. Other risks may also be associated with the use of Actos, including the potential risk of developing bladder cancer while using the drug. Animal studies dating back to the early 2000s showed an increased risk of urinary tract tumors in rodents taking Actos. However, it wasn’t until 2006 that the Actos label would indicate cases of bladder cancer in humans, and another five years before the FDA issued a safety precaution about the increased risk of bladder cancer associated with Actos. The FDA first issued a safety warning in 2010 after it began reviewing data from a then-ongoing 10-year study being conducted by Takeda. One year later, the FDA reported there may be an increased risk of developing bladder cancer when taking Actos for more than one year and there may be a 40 percent increased risk of developing bladder cancer when taking the drug for two years or more. Numerous other studies have been published indicating an increased risk for bladder cancer in diabetes patients taking Actos, as risk not associated with other other thiazolidinediones. Depending on the stage of the cancer at diagnosis, bladder cancer can be deadly. In 2011, after conducting a study of its own, the French government pulled Actos from the French market and Germany followed suit shortly thereafter, CBS News reported. But even as other countries began to recall the diabetes drug in light of potential health risks, the FDA merely approved a label revision for Actos to indicate an increased risk for bladder cancer in August 2011. Actos is still being prescribed to Americans with Type II diabetes, and since Takeda lost its patent in 2012, generic versions of the drug have now entered the market. In 2010, two years before it lost its patent to sell Actos exclusively, Takeda sold more than $3.35 billion of the diabetes drug. As studies began to show a potential risk for bladder cancer and other serious conditions, patients harmed by Actos began filing lawsuits against its manufacturer. As reported by the New York Times, Takeda agreed to pay $2.4 billion last year to settle thousands of lawsuits accusing the company of hiding cancer risks. It is one of the largest product-liability settlements paid by a pharmaceutical company. In 2014, Takeda and pharmaceutical company Eli Lilly agreed to pay a combined $9 billion to settle lawsuits, but the settlement was later reduced to $36.8 million. Lawsuits are still being filed by patients who were harmed by Takeda’s Type II diabetes drug, Actos. If you or someone you love was injured while taking Actos, call the Hood National Law Group today at 1-800-214-1010 for a free case evaluation or use the form on the right-hand side of your screen.